Bruce A. Lehman is an American attorney with over 40 years of experience in all aspects of intellectual property law and policy. He has served in positions of great responsibility in both the public and the private sector. His public service includes serving as Acting Chair of the National Endowment for the Humanities, Assistant Secretary of Commerce and Commissioner of Patents & Trademarks, and counsel to the Judiciary Committee of the United States House of Representatives. Currently, he is the board chairman of the International Intellectual Property Institute (IIPI), a nonpartisan, nonprofit organization, based in Washington, D.C. which he founded in December 1998. The Institute is a think tank and development organization that promotes the creation of modern intellectual property systems and the use of intellectual property rights as a mechanism for investment, technology transfer and economic development. IIPI has engaged in capacity building programs in more than 30 countries in all parts of the world. In 2014 Mr. Lehman was appointed by the Secretary-General of the United Nations to serve on the High-Level Panel on the Feasibility of a Technology Bank for Least Developed Nations. The panel submitted its report to Secretary-General Ban Ki Moon and the U.N. General Assembly in September 2015. Previously, for six years during the tenure of His Excellency Kamil Idris as Director General of the World Intellectual Property Organization, Mr. Lehman served as a member of the WIPO Policy Advisory Commission. While Mr. Lehman has retired from the full-time practice of law he continues to advise clients on intellectual property related legislation, litigation, and policy, both domestically and internationally. He is outside counsel to both the Artists’ Rights Society of the United States and the Association of Medical Illustrators. 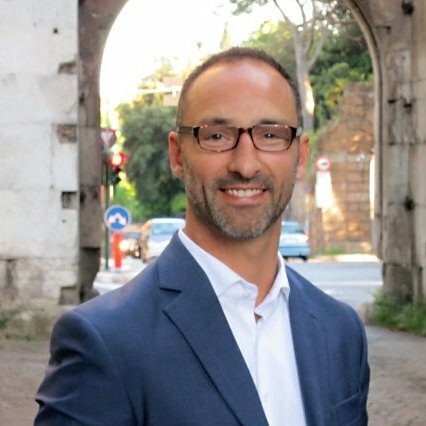 He also serves on the Legal Advisory Council of LegalZoom, Inc. and is a member of the board of directors of the La Musica Music Festival in Sarasota, Florida. In his capacity as the United States Assistant Secretary of Commerce and Commissioner of Patents & Trademarks from 1994 to 1998 he was the primary advisor to the President for all domestic and international intellectual property policy matters and supervised over 6000 employees engaged in the examination of patents and the registration of trademarks. He was the principal advisor to the United States Trade Representative in the negotiation of the TRIPS Agreement, the intellectual property provisions of the World Trade Organization Treaty. As the leader of the U.S. delegation to WIPO’s December 1996 Diplomatic Conference on Certain Copyright and Neighboring Rights Questions, Mr. Lehman concluded negotiations that resulted in the adoption of two treaties: the WIPO Copyright Treaty and the WIPO Performances and Phonograms Treaty. These treaties form the legal basis for trade in online digital content over the Internet. In addition to his cabinet responsibilities for intellectual property matters, Mr. Lehman served at the request of President Clinton in1997 as acting chairman of the National Endowment for the Humanities, which fosters and recognizes the work of America’s artistic and creative community. In 1997 public-policy magazine National Journal named him as one of the 100 most influential men and women in Washington. In his early career as counsel to the House Judiciary Committee (1974-1983), he was the Committee’s principal legal adviser in the drafting of the 1976 Copyright Act, the 1980 Computer Software Amendments and the 1982 Amendments to the Patent Laws. 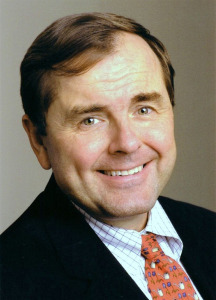 Mr. Lehman has authored numerous articles on intellectual property rights, lectured at Universities throughout the world, served as an expert witness advising U.S. Courts hearing cases on intellectual property law, and advised United States appellate courts and the Supreme Court as an author of “friend of the court” briefs. He holds both Bachelor of Science and Juris Doctor degrees from the University of Wisconsin, Madison. The post is now known as Undersecretary of Commerce and Director of the Patent and Trademark Office. During 1993 he created the Mexican Institute for Industrial Property (IMPI) and was appointed by the President of Mexico as its Director General in January 1994. He served in that position until April 2011. During his service, he headed the Mexican delegation for Intellectual Property Chapter in several international agreements; he served as lead intellectual property spokesman and negotiator for many international bodies, including the coordination of the Anticounterfeiting Trade Agreement (ACTA), Free Trade Area of the Americas (FTAA), Chairman of the Intellectual Property Experts Group of the Asia-Pacific Economic Cooperation (APEC), and the Organization for Economic Cooperation and Development (OECD). Amigo also chaired and participated in numerous committees and assemblies of the World Intellectual Property Organization (WIPO). 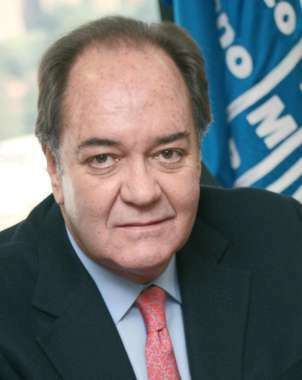 Amigo received many awards during his career, among others, WIPO´s Gold Medal for promoting intellectual property and competitiveness around the world (2008), the City of Venice Intellectual Property Award (2006), the Motion Picture Association´s (MPAA) Anti-piracy Government Leadership Award (2009), Gold Record award (2011) by the Recording Industry Association of America (RIAA) and the International Federation of Phonographic Industries (IFPI). He also received a special recognition from then-President Vicente Fox for his contributions to Mexico (2006). Prior to his appointment as Director General of IMPI, Amigo held several positions within the Ministry of Commerce, including Deputy Director for Project Evaluation (1984-1985), Director of Economic Evaluation (1986), Technical Secretary of the National Foreign Investment Commission (1989), Director General of Foreign Investment (1990-1992), and Director General of Technological Development (1993). In his capacity as Director General of Foreign Investment, Amigo headed the Mexican delegation for the negotiation of the Investment Chapter of the North American Free Trade Agreement (NAFTA). Amigo holds a B.A. in Economics from Universidad Anahuac and completed his M.A. in Economics from the University of the Americas in Mexico City. He has taught Economic courses in both institutions. 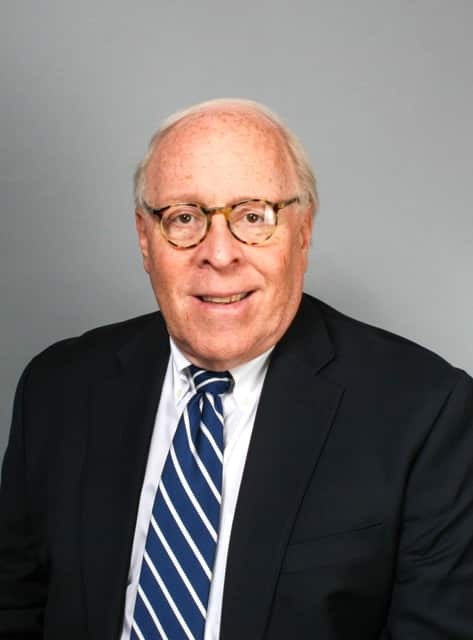 Lester S. Hyman is a Washington, D.C. attorney with more than 50 years of experience in law, business, politics, the arts and international affairs. 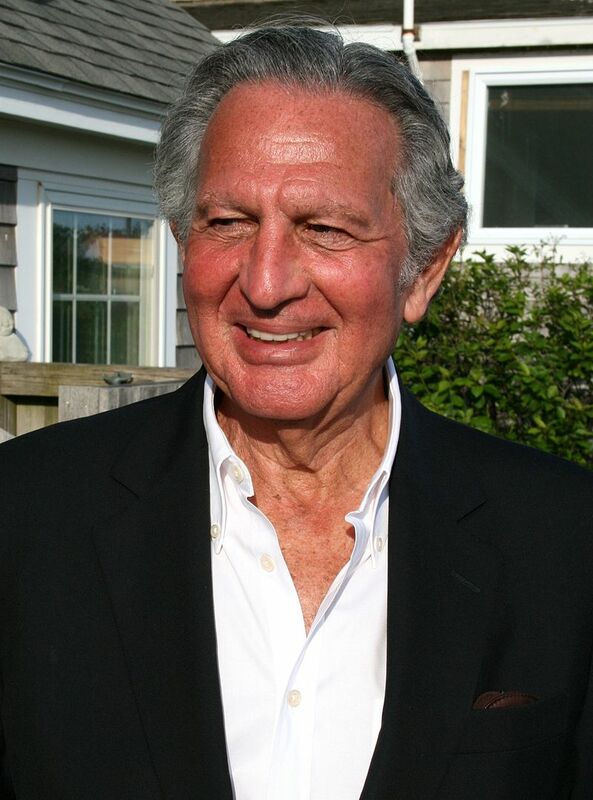 After serving in the federal government as an attorney with the U.S. Securities and Exchange Commission and later as Senior Consultant to the Secretary of U.S. Housing and Urban Development, Mr. Hyman returned to his home state of Massachusetts where, as a protege of John F. Kennedy, he was Chief Assistant to the Governor, Secretary of Commerce and Development, and Chairman of the Democratic Party of that State. He also taught at the Kennedy School of Government at Harvard University. He then returned to Washington where he was a founder of the prominent law firm of Swidler Berlin representing major business clients both in the United States (20th Century Fox, McGraw Hill) and overseas: France (Roussel-Uclaf), Germany (Hoechst), Japan (Matsushita, Mazda), Korea (Hyundai), as well as representing a number of countries (Haiti, Liberia, Bermuda, and the Virgin Islands). Mr. Hyman has been very active in international peace resolution work in Africa and Central America where he has worked closely with former President Jimmy Carter and the International Negotiating Network (INN). He was President Clinton’s representative at the signing of the Guatemala Peace Treaty (as well as Clinton’s appointee to the Franklin D. Roosevelt Memorial Commission). He is the author of the 2003 book “U.S. Policy Towards Liberia”. He currently serves on the Boards of the Center for National Policy, the Center for Advanced Defense Studies, the International Intellectual Property Institute, and the BVI College and is Strategic Advisor both for the venture capital company Oxantium LLC and ArtsBacker. As a devotee of the arts, Mr. Hyman served on the D.C. Arts and Humanities Council, and the Boards of the Norton Simon Museum of Art and the Dana Tai Soon Burgess Dance Company. John Weinfurter provides unparalleled knowledge of Washington, DC and the intricacies of the political process. 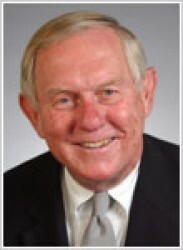 Following a 20-year career on Capitol Hill as the Chief of Staff to the late U.S. Representative John Joseph Moakley (D-MA), where he served as the principal liaison to House Leadership through five presidential administrations and to the corporate and professional communities of Boston and Washington, he served as the President and CEO of the Congressional Economic Leadership Institute (CELI). CELI is a bipartisan and bicameral educational foundation designed to acquaint Members of Congress, their staffs, and corporate executives with emerging economic issues. During his tenure at CELI, Mr. Weinfurter administered over 200 sessions in the U.S. Senate and House and brought CEOs, foreign heads of state, parliamentary delegations, authors, economists, cabinet secretaries, and regulatory agency leadership together in forums on economic growth and productivity. Prior to joining Capstone, John was Vice President of the Government Relations Division for Witt O’Brien. Before that, he was president and a principal at the Washington, DC-based lobbying firm of KSCW, Inc.
For over a decade, John has provided government relations, strategic counsel, and monitoring and analysis of policy, legislative, and regulatory issues that affect clients from a broad spectrum of market sectors including healthcare, energy, insurance, accounting and financial services, international development, technology, education, aviation, and defense. Mr. Weinfurter is also the current President of the House Chiefs of Staff Alumni Association (HCOSAA), an Alumni-driven educational professional organization that brings together former and current House Chiefs of Staff for networking events and presentations on current events. Additionally, HCOSAA administratively assists the House Chiefs of Staff Association, the organization representing current chiefs of staff. Stetson is a career Foreign Service officer in the U.S. State Department. He is currently assigned to Washington, DC in the Bureau of South and Central Asian Affairs. Prior assignments include Juba, South Sudan as the Director for International Narcotics and Law Enforcement programs; Political Officer and Alternate Permanent Representative to the United States Mission to United Nations Agencies in Rome; and in Afghanistan as the Task Force Senior Civilian Representative, where he was the State Department’s sole representative for Ghazni province, overseeing and coordinating development, governance, and political activities for Coalition Forces. Other diplomatic posts include Tajikistan and India. Prior to joining the Foreign Service, Stetson was the first Executive Director of IIPI during its initial growth and development. 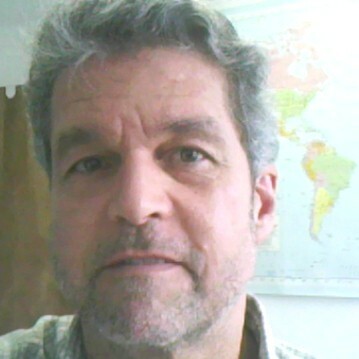 Prior to working with IIPI, he was a Peace Corps volunteer in Russia, teaching economics and marketing courses and delivering several English and cultural programs. Following his Peace Corps service, Stetson worked in Saratov with the Eurasia Foundation, a USAID-funded non-profit development organization, to develop and implement rule-of-law and civil society programs. Rick Reidy is a trained economist and a natural entrepreneur, helping to finance a number of innovative companies and non-profit groups over many years. In the late 1990s, he founded a then-rare “green” venture capital fund to support early-stage, environmentally-friendly companies staffed by labor union workers. He currently oversees a number of private business projects. He served as senior Washington lobbyist and political advisor for New York City cultural organizations, including Guggenheim Museum, American Ballet Theatre, World Monuments Fund. He has appeared as a commentator on Los Angeles television and radio, and he continues to informally assist many national and local political candidates. In the 1990s, Mr. Reidy was president of the Health Policy and Research Foundation of California, a non-profit charity, founded in 1986, with a mandate to promote government policy actions during the expanding public health crisis of HIV/AIDS. During the 1980s, Mr. Reidy worked in Washington DC, managing political programs and raising funds as under two chairmen of the Democratic National Committee. He directed finance projects for political campaigns for U.S. President and for U.S. Senate and House of Representatives, and he advised dozens of candidates at national, state and local levels. Earlier, he worked at a Washington trade group representing employee-owned companies and firms financed by employee leveraged buy-outs. 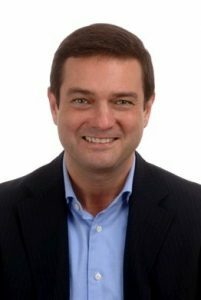 A graduate in economics from the University of Notre Dame, Mr. Reidy has also studied and worked in Mexico City, Boston, and New York. He worked through his school years in radio broadcasting as an on-air announcer, news writer, and engineer. He grew up as an all-purpose assistant in his father’s retail stores in western New York State. Thaddeus brings a strong legal and public policy background to the IIPI Board. For twelve years he has served in various legal and public policy roles at General Electric: most recently as Senior Counsel, Intellectual Property, Trade, and Investment. Prior to joining GE in 2005, he served in senior government positions at the U.S. Patent and Trademark Office and The White House Office of the U.S. Trade Representative. In addition to government service, he worked in the appellate litigation practice at Jones Day in Washington, D.C.and in the Brussels European law and policy practice of Akin Gump. He clerked forJudge Karen Williams on the U.S. Court of Appeals for the Fourth Circuit. Thaddeus served as a member of the National Academy of Sciences Committee charged with reviewing and preparing a report on the science and technology capabilities of the U.S. Department of State. Thaddeus has testified as an expert before committees of the U.S. Congress and the French Senate. Thaddeus holds a bachelor’s degree from Oberlin College and a law degree from Catholic University of America Law School where he served on law review.